Iran coach Carlos Queiroz said Portugal captain Cristiano Ronaldo should have been sent off for an elbow during Monday's 1-1 draw at the World Cup. Ronaldo was booked after 83 minutes of the Group B clash for catching Iran defender Morteza Pouraliganji, with the incident reviewed by the referee on a pitchside monitor. "I don't want to talk too much, it's about my country and a player. 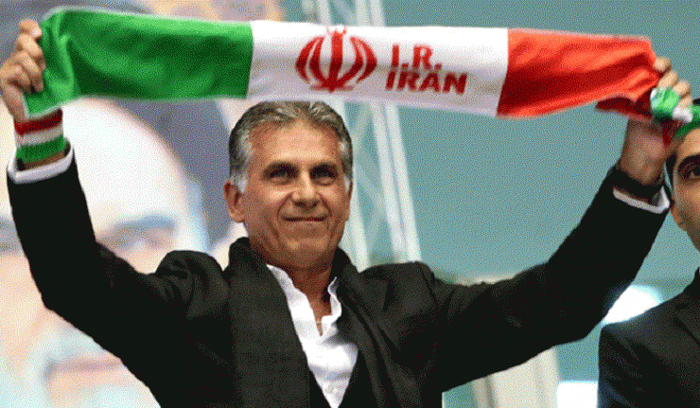 I know it'll be a war against me," said Queiroz, who coached his native Portugal at the 2010 finals in South Africa. "No problem I get used to being one man against the nation, and one nation against the man since South Africa. I don't have problems with that. "But the reality is you stopped the game for VAR, there is an elbow. An elbow is a red card in the rules. In the rules it doesn't say if it is (Lionel) Messi or Ronaldo..."
"It is a red card," he repeated. "It is not about the referee. It's about the attitude, the bravery and the character, the decisions must be clear for everybody. "So in my opinion, Mr. Infantino and FIFA, everybody agreed that VAR is not going well. That's the reality, there's a lot of complaints." Ronaldo missed a second-half penalty in Saransk as Portugal survived a late scare against Iran to set up a last-16 meeting with Uruguay. Portugal finished runners-up behind Spain, as Iran fell just short of reaching the knockout phase for the first time at a World Cup.